The agreement, which was announced on the sidelines of the IATA AGM in Sydney, the world’s largest gathering of airline leaders, will mean the two organisations will adopt a common approach, exchange information and work together to energise the entire sector to achieve international harmonisation through the use of biometrics standards and interoperability. IATA, on behalf of its member airlines, is promoting a range of innovations to be considered for airports of the future, including the One ID initiative – IATA’s vision of an “end-to-end passenger experience that is seamless, efficient and secure” which aims to offer passengers a frictionless airport process allowing the possibility to walk through the airport without breaking stride. 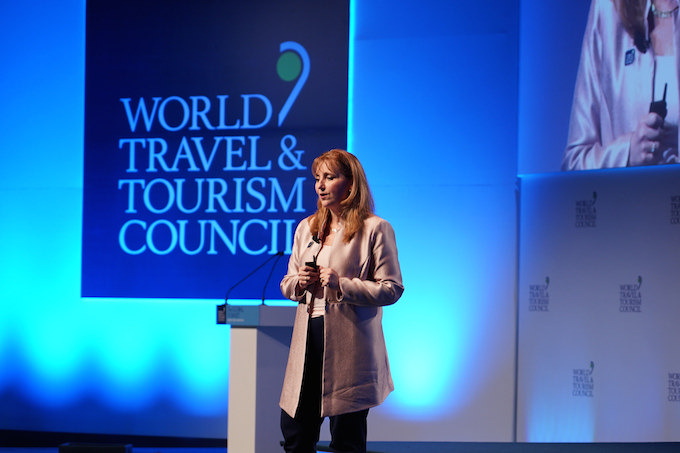 Gloria Guevara, WTTC president and CEO, said: “Biometric technology is essential for the future of travel. It can help us make travel more seamless, more efficient and more secure. It improves the existing processes, reduces time for the traveller and will allow the sector to grow. IATA is forecasting a rise from four billion annual air passengers now to 7.8 billion over the next 20 years, and UNWTO estimates global international arrivals to rise from 1.3 to 1.8 billion by 2030. “The traveller experience has to improve if we want to achieve the growth potential. Last year one of every five jobs created in the world were in our sector,” added Guevara. Alexandre de Juniac, IATA’s director general and CEO said: “The journey thorough the airport is often a frustrating experience. Passengers have to verify their identity at numerous points across their journey.